Caused by the thickening of an artery wall, atherosclerosis is a severe medical condition that resulted from the buildup of fatty materials. This particular disease affects arterial blood vessels, which is marked by the furring or hardening of the arteries. Some of the risk factors include obesity, high blood pressure and diabetes. In terms of major and minor symptoms, patients usually experience sudden numbness, drooping facial muscles and chest pain. Learn how to diagnose and treat the different atherosclerosis symptoms and protect yourself from the pain and discomfort caused by this chronic disease. When an artery is clogged, the different tissues and organs of the human body can receive inadequate supply of blood. Furthermore, this condition is a risk factor that can lead to more severe medical conditions like stroke and heart attack. In case the heart arteries are affected, the common sign is angina or severe heart pain. When the arteries affected are those that are leading to the brain, some of the early signs include drooping facial muscles, difficulty speaking and sudden weakness in the legs and arms. In case the arteries in the legs and arms are affected, the condition is somehow related to peripheral arterial disease. One of the symptoms of this disease is intermittent claudication, wherein patients experience severe pain in the leg while walking. For men, this condition is more difficult as it can lead to erectile dysfunction. When suffering from numbness of legs and chest pain, it is best to consult doctors right away. This chronic disease can significantly affect the functions of the human body including the extremities, kidneys and intestines. Additionally, it can also cause damage to the brain, lungs and heart. Most of the time, the signs of atherosclerosis are very much similar with that of other severe medical conditions such as thoracic aortic aneurysm, mesenteric artery ischemia and coronary artery disease. 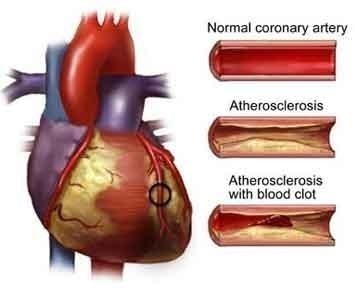 People suffering from atherosclerosis need proper and immediate diagnosis in order to identify all the possible causes of this serious medical problem. Several diagnostic tests can help determine the problem including physical exam, blood tests and Doppler ultrasound. Likewise, it is also possible to use angiogram, electrocardiogram and the so-called ankle-brachial index. 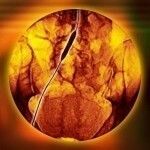 To detect the buildup of calcium deposits and aneurysms, patients can undergo magnetic resonance angiogram as well as computerized tomography scan. 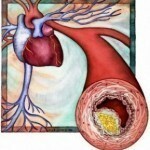 Regular exercise, healthy diet and proper medications can actually help patients treat atherosclerosis. They can also consume cholesterol medications like anticoagulants, anti-platelet medications and cholesterol medications. Surgical procedures can also help in treating this serious health problem such as bypass surgery, thrombolytic surgery and angioplasty.